The JURA wedding invitation range is a contemporary design featuring a stunning mirror tile hand-painted with a silver mirror and wrapped with wired silver plated beads. 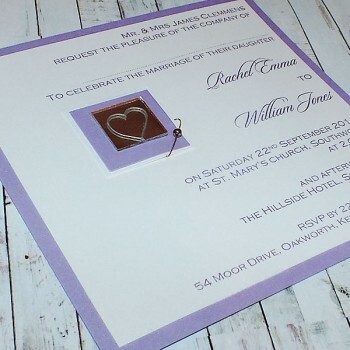 FLAT WEDDING INVITATIONS can be used for day or evening wedding invites and are a cheaper alternative than the classic fold invites, while still keeping the luxurious details with the painted mirror and crafted with the same superb quality card. Our luxury Jura Wedding Invitations are printed onto luxurious pearlescent or textured card and are fully personalised with your own choice of wording and fonts.